OMG you guys!!! Legally Blonde – The Musical is coming to The Clay Center! Fabulously fun and international award-winning Legally Blonde – The Musical is the ultimate Broadway tribute to Girl Power! The story follows the transformation of Elle Woods as she tackles stereotypes, sexism, snobbery and scandal in pursuit of her dreams, and proves that you can be legally blonde and STILL the smartest person in the room. This contemporary, sassy musical moves at a breakneck pace driven by memorable songs and explosive dances. 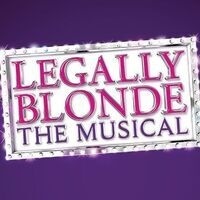 Legally Blonde – The Musical warms the heart by proving that self-discovery can be way too much fun and hilarious to boot. Elle Woods appears to have it all. Her life is turned upside down, however, when her boyfriend dumps her so he can start getting more serious about his life and attend Harvard Law. Determined to get him back, Elle uses her ingenuity and charm to get into Harvard too. School begins with endless struggles, but with the help of her new friends, Elle quickly realizes her potential, and her true assets, as she sets out to prove herself to the world and make everyone a believer. Based on the beloved movie, Legally Blonde – The Musical will take you from the sorority house to the halls of justice with Broadway’s brightest new heroine and, of course, her Chihuahua, Bruiser.